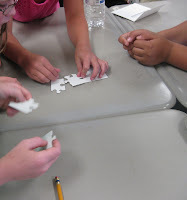 I pass out the puzzle pieces and have students work together to put the puzzle together. 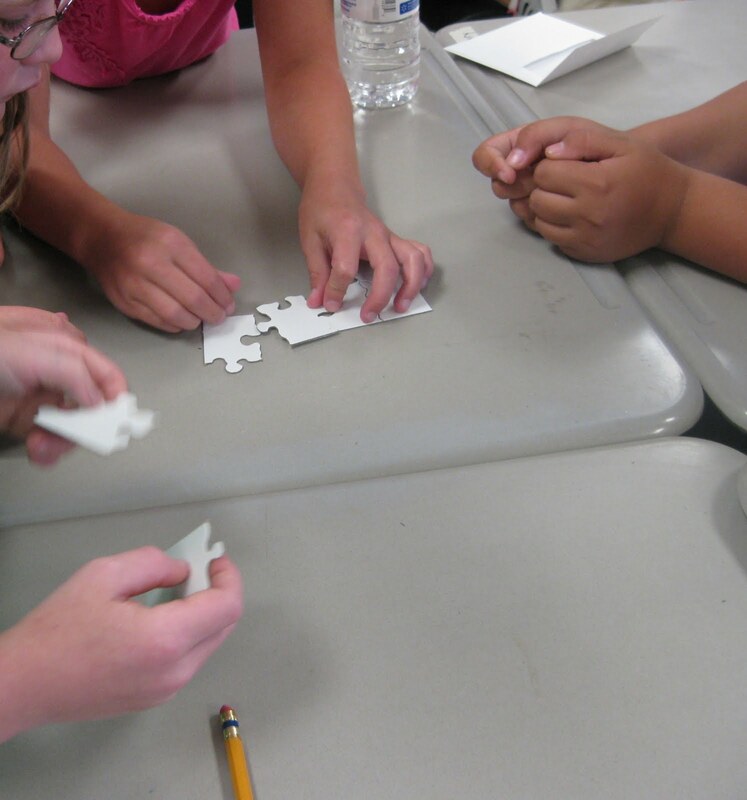 However, students don't know that prior to beginning the activity I have removed one piece of everyone's puzzle, so none of the puzzles can be completed. I let students look for the missing piece for a couple of minutes, and then I use this to illustrate how everyone in the class is an essential piece of the puzzle. We then begin discussing what group work should look like. After our discussion, I like to give my students a few minutes to draw a picture on their puzzle pieces, and I keep the puzzle in the classroom for students to put together whenever they have free time. I love this. I use to teach ELL and as one of our team building activities I would make a puzzle out of a world I made on butcher paper. Each student would decorate a piece and then they'd put it together. But I learned the hard way not to make the puzzle too hard. I never thought to buy a puzzle.